Cana-Vac was established in 1970 under the previous name Budd Vacuum Co. by former NASA and M.I.T. engineer Leonard Budd. Since he was from the engineering background, he was able to design and employ his concepts for creating his first central vacuum system. Leonard started manufacturing his first central vacuum system out of the garage and sold small quantities of central vacuums in and around Guelph, Ontario. 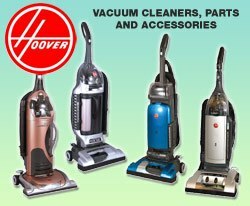 Soon, the popularity of his vacuums grew and this led to the expansion of the market. Leonard with his wife Sylvia then founded a vacuum company called Budd Vacuum Co. in 1970. The first vacuum was named as "Can-Vac" by Leonard because the vacuum was basically a steel-can with a working motor. Since the name wasn’t very catchy, Leonard changed it to "Cana-Vac" and the name has remained the same since then. In the next few years, Budd Vacuum grew as a company and shifted into a 20,000 square foot facility. But due to age problems, Leonard sold the business in 1993 to a colleague and longtime family friend David Lawrence. The company officially became Cana-Vac Systems Inc and started manufacturing from a facility downsized to 7,000 square foot in Guelph, Ontario. The company had four employees to start with but by 1996 they were able to shift to a larger facility of 12,000 square feet due to increased growth. Three years later in 1999, Cana-Vac shifted their manufacturing unit to a 40,000 square foot facility in Owen Sound. What are the Reasons I should buy a Cana-Vac Central Vacuum Unit? Clinically Proven: Cana-Vac central vacuum systems have been tested by doctors and medical research teams for its efficiency. These vacuum systems are clinically proven to reduce allergy symptoms by almost 61%. The test results are based on a research conducted by the University of California at Davis School of Medicine, Davis, CA, USA. According to the research, a Cana-Vac central vacuum system can remove close to 100% of vacuumed pollens, bacteria, pet dander, and other contaminants from your living area or household and exhausts them effectively outside your home. 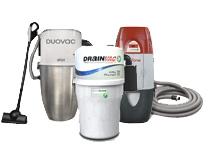 Superior Cleaning: One of the salient points of Cana-Vac central vacuum systems is that they have been designed to offer superior cleaning. Most of the technology used in built-in features and tools assist in above floor cleaning. Ease of use: One of the greatest advantages of using a Cana-Vac central vacuum system is that it is easy to use and consists of time-saving features. One of the reasons why it is easy to clean using the Cana-Vac central vacuum systems is its advanced filtration system. The Cana-Vac central vacuum system consists of HEPA membrane filter, which has been made using Dupont™ Teflon® fluoropolymer and this is what offers superior filtration that all Cana-Vac vacuums are known for. Micro-Tex® and Non-Stick HEPA Membrane: Micro-Tex is an advanced filter that is used for protecting the motor of the Cana-Vac central vacuum systems. There is another benefit as well, which is that it also allows the vacuum unit to be vented indoors in case the option for outside venting is not available. Micro-Tex filtration is basically an efficient filter that is also maintenance free. You will never have to worry about changing the filter or cleaning it. The primary use of the HEPA membrane is to provide superior filtration. The HEPA fabric of the filter is coated with a membrane that has a non-stick surface and this is to ensure that the dirt is filtered out with ease and does not stick. Hybrid Bag or Bagless Technology: Cana-Vac central vacuum systems are available with hybrid units or with bagless technology. The hybrid bag technology is revolutionary and it means that the unit comes with a disposable fabric in the form of a bag. The use of hybrid bag ensures protection from allergens and higher levels of sanitation. So you will never have to go through the mess of emptying a dirt canister. It is different from the conventional paper bags as well. The hybrid bag is a heavy duty bag with an exterior that will remain white and clean even after use. Utility Valve: Cana-Vac central vacuum systems come with the convenience of a utility valve. 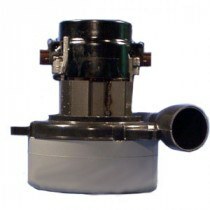 Cana-Vac provides a separate 24-volt valve, which can be placed nearest to the garage door or the place where it is installed so that it can assist in outdoor cleaning as well. Lifetime Limited Warranty: Cana-Vac offers lifetime limited warranty on the power unit body as well as the filter. The condition is that the warranty will be valid for the period during which you are the owner of the home. Cana-Vac Systems Inc., also warrants the motor as well as all electrical components for a period of (10) years on "L" series models, (15) years on "LS" series models and (20) years on "XLS" series models. 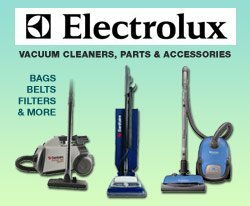 Cana-Vac vacuum cleaner are one of the best in the world and are definitely much above the standard cleaners when it comes to quality and power.